David has had an extensive and diverse career as a teacher, choreographer and dancer. He has taught at dozens of studios in the tri-state area and has trained students of all ages, from pre-school to the university level. Previously, David was on the faculty at CAP 21 as part of New York University’s musical theatre program and was a teacher at Peridance Center in New York City. He brings with him a comprehensive understanding of the professional and competitive dance world, along with an enthusiasm for empowering young dancers. Mr. Kieffer has been the owner and director of The Dance Connection since 2007. He is the founder of the Danceletes; a team that trains as dancers and athletes. He has developed corresponding Dancelete training techniques that create powerful and skillful performers. The team has won multiple awards and high scores. Mr. Kieffer has performed domestically and internationally with companies, such as Pascal Rioult Dance Theatre, Peridance Ensemble, Bat-Dor Dance Company of Israel, The Israeli Opera, Noemi Lafrance, New Jersey Ballet, Ballet Theatre of Scranton and Ballet for Young Audiences. In 2001 he appeared in the feature film Center Stage. 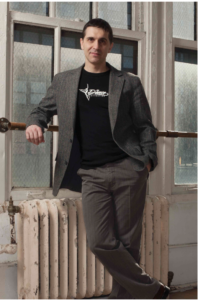 In 2004 he founded his own dance company David Kieffer Dance Theatre which he directed for three years before moving to New Jersey.